Those owners of brand new slimline Sky+boxes (Pace version 2) were today upset to find that no new software update had been delivered to their boxes. A forced update produced no new update. Even installation engineers expecting a new version to be downloaded were surprised to find that the software server that files would be downloaded from was bare. 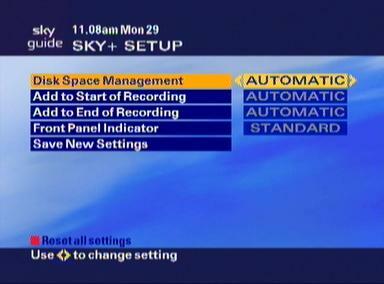 No information forthcoming from Sky yet about when the owners of the new Sky+ model can expect their software update. Sky excited their Sky+ users this morning by sending their Sky+ boxes into standby mode thus identifying that a new software update had been delivered overnight. Excitement soon turned to disappointment for the many thousands of subscribers who had patiently been waiting for Dual Recording, because this "killer" feature was not turned on today. In fact the news from the grapevine is that very little of noticable difference was delivered in this latest upgrade. However this is not to say that the latest software was unimportant, far from it. Sky may now be able to cut down on refunds to dissatified customers who complained that the slogan "Never Miss A Thing" was just not true. With the latest software Sky have introduced bug fixes and stronger retaining features for Sky Series Links so that events like programme clashes and a programme not being scheduled for one week, will not result in loss of series link functionality for those programmes previously tagged. Amstrad plc announced that it has signed two separate manufacture and supply agreements with BSkyB, the first for Sky+ set top boxes, and the second for a new Sky branded combined keyboard and remote control. These two agreements are in addition to the Companys ongoing supply of standard digiboxes to BSkyB. The Amstrad Sky + box will join the existing product towards the end of the 2003 calendar year and is a NON-EXCLUSIVE AGREEMENT. The new combined keyboard and remote control, to be known as the Sky Navigator, will be sold as an upgrade option as part of Skys new Accessory Range, a line of 11 Sky Branded products that will soon be available in over 3,000 retail outlets across the UK and Ireland. First shipments of the Sky Navigator are scheduled for the second half of the 2003 calendar year. Digital satellite viewers will be able to use the Sky Navigator in conjunction with all standard digiboxes as well as Sky+. It will combine all the existing key functions from the standard Sky remote control and Sky+ remote, as well as QWERTY and numeric keypad functions. Brian Sullivan, BSkyBs Director of New Product Development said Since its launch Sky+ has been the UK leader in the emerging Personal Video Recorder (PVR) category. As this market grows it is critical that we have the suppliers to support demand. We are excited that a valued manufacturer such as Amstrad is entering the PVR market as a partner for Sky+. Sky gave exclusive access to Digital Spy reporter Alan Jay, who asked lots of important questions to the guys from Sky. Not much information was forthcoming on the major upgrade for Dual Recording except for Sky to say that it was "coming soon". Also plans include the A-Z listing for a full week ahead and the ability to check for a particular programme. Sky are now 1/3 of the way to achieving their long term unstated objective of "giving away" Sky+ boxes. The price has now fallen to £199. The monthly subscription price remains (and Plusworld suggests will always remain) unchanged at £10. Standard installation for Sky digital subscribers is £50. See Sky.com for updated info. Brian Sullivan, Director, New Product Development and Sales at Sky said "Sky and it's manufacturing partners continually update set top box designs to stay abreast of consumer electronic trends, and improve internal structures to maximise performance and operational efficiencies. Sky+ was introduced back August 2001 it we felt it was time to give it a bit of a face lift." Sky+ is periodically updated via software downloads that add new features and improve the service. The new Sky+ design maintains the exact same functionality, connectivity and storage capacity, and thus will have no discernible difference in performance to the end user when compared to the original. Sky confirm New Sky+ Box Differences "Purely Cosmetic"
Tony Ball forwarded me your email about the "new" Sky+ box which will be available before very long. I wanted to reply to lay to rest any misinformation on the internet about this. The change from the current Sky+ box to the new one is entirely cosmetic (the box will look different and I dare say there are some differences in the manufacturing process too) but it will have exactly the same functionality as your current Sky+ box does. That functionality, of course, will continue to improve over time as it has done over the last few months, but the improvements will be across both types of box. Unfortunately, the internet is a notoriously unreliable source of this type of information, but I hope that with this note I can put your mind to rest. In an e-mail reply to a potential Sky+ customer Pace have given out the first piece of information about the newly designed Sky+ box. They have confirmed that the specification of the box has not changed from the current Sky+ system and crucially the hard disk drive size remains the same at 40 Gigabytes. See below for a transcript of the actual e-mail. The specification of the Sky+ receiver has not changed, the drive remains the same size. Apparently it doesn't exist. Therefore there can be no official photos. 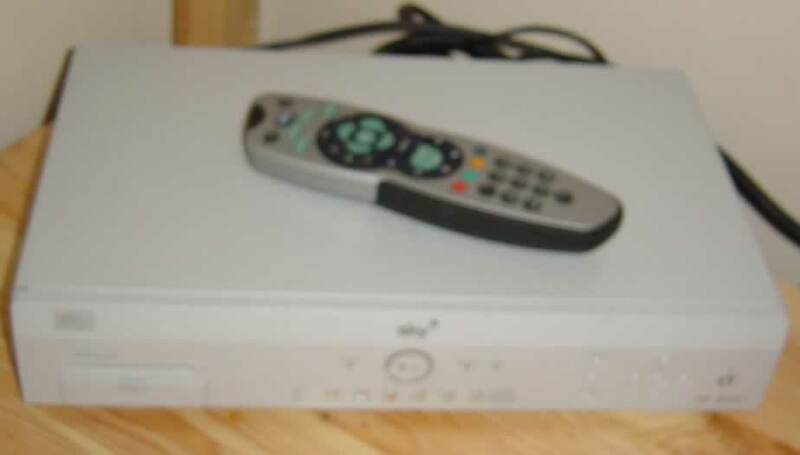 However Plusworld has obtained photographs of a box that looks just a tad like the new Sky+. Make your own mind up with the photos below (Apologies for the lack of sharpness in detail on some of the photos). Click on any photo see a close up. Digital Spy PVR Forum - No New Sky+ Box? More updates on this story as they come in. Date of Software Update of Sky+ Dual Recording extended? Cable & Satellite Europe (issue 225) reports on developments with Sky+. "Next on the agenda is "the ability to record two programmes on different channels simultaneously" by June 2003." according to James Soames, senior manager for new product development and sales, BSkyB. Plusworld noted that the article quoted Mr Soames with his statement, but had the date outside his quotation marks. Whatever that might mean. Time will tell. "A product of this nature will always have issues of differing [levels of] severity. We had a few customer service issues with the start of programmes being missed but we have since downloaded functionality enhancements. These upgrades enable manual recording and control over buffer time, with an instant rewind feature added in December. "Never Miss A Thing with Sky+ subject to Issues of Differing [levels of] Severity". Sky Digital's latest company report shows that Sky+ Subscribers have increased by 27,000 to 65,000 in the period July 1st 2002 - December 31st 2002. Only a small part of this period covers the reduced price offer on Sky+ of £250. Web site PVRUK is giving details on the parties involved in future advertising work for Sky+. The article hints at a large Sky+ advertising campaign. The source is Marketing Week. 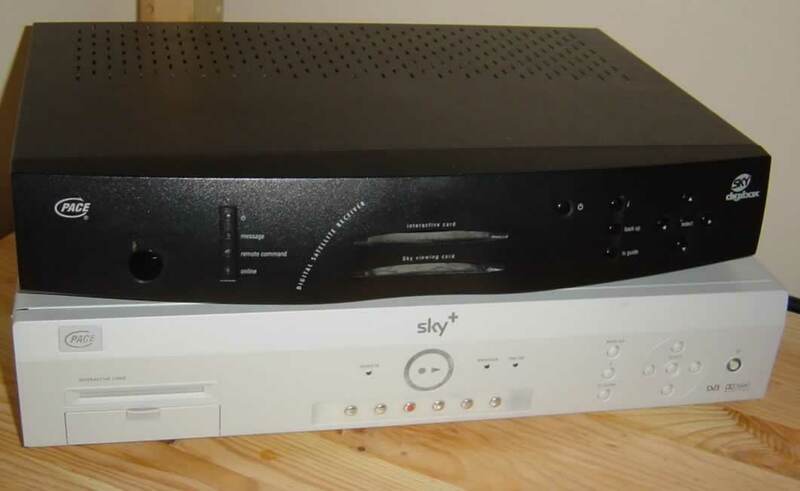 Rumours persist that Sky are about to unleash a new version of the Sky+ box in March/April with the same functionality as the current system. The main difference allegedly being the much smaller size of the new Sky+ unit. Conjecture on technical internet web sites is that Pace have managed to reduce the size and cost of the box, so making the whole sales operation more cost effective for Sky. Whether this will result in a substantially lower purchase price for Sky+ remains to be seen. 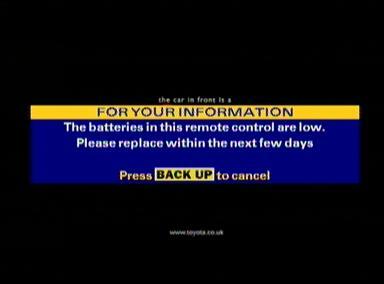 The world of "Tivo-like" functionality moved a step closer when Sky downloaded the latest software update on 9th December 2002. (The update had been planned for "late summer"). The instant rewind feature can be turned on by entering the Services Menu, choosing Sky+ SetUp, then choosing the number of minutes buffer you wish to record. The confusing world of Sky+ pricing has taken another turn with the price cut to £250 for a "limited time only". Although plusworld expects the price to remain static at £250 after Christmas. Whether better "loyalty offers" are still available is difficult to ascertain. Phone Sky+ 08705 800 800 for details of their "best offer" for you. Digital Spy reports an exciting development in a Sky+ promotion for "loyal, long-standing top-tier" sky subscribers. The report indicates a trial of a new promotion, offering "top tier" Sky subscribers Sky+ for £200, a free relocation of a digibox and reduced rate for a mirror 2nd subscription. It is also mentioned that current Sky+ subscribers may also be eligible for a mirror sub discount. No official announcement has yet been made from Sky, and customers so far cannot request this offer. Digital Spy Sky+ forum thread - "It's true. Sky+ down in price..."
From September 2002 European retailers will receive stock of the worlds first integrated twin decoder and twin tuner satellite home gateway range with optional hard disk technology. 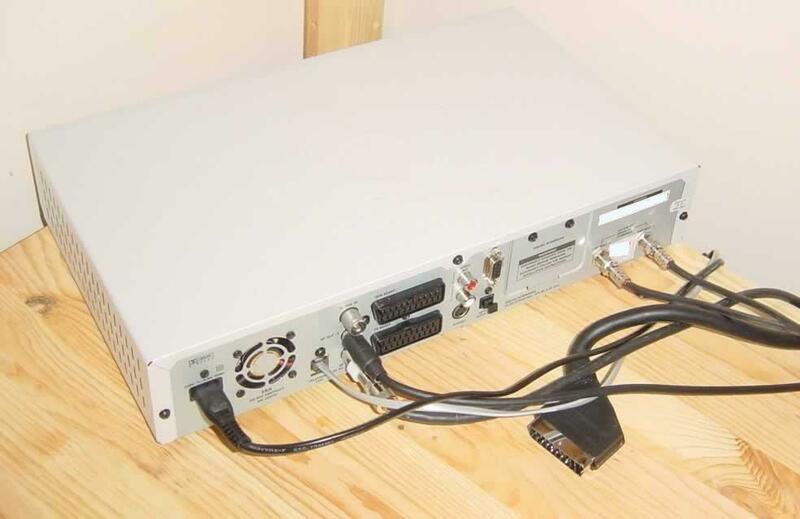 Paces Puma gateway is designed to enable households to watch two separate digital programmes on separate TV sets or record one live programme whilst watching another. 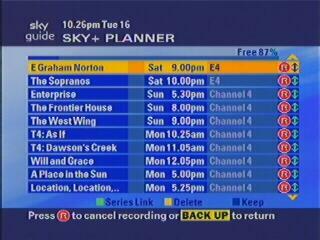 It us unclear at present whether this new functionality will be added to new Sky+ systems sold in the future. Brian Sullivan, Sky's Director of New Product Development and Sales, spoke at the Sky+ PR event in London yesterday. He indicated that whilst no larger hard drive is planned for Sky+ in the near future, there is likely to be made available an external hard disk storage device. No further details of the device or price were made available. Mr Sullivan added "These devices are some way off, at least next year, and they will be installed by Sky endorsed Engineers only. Mr Sullivan agreed that this would partly satisfy customers need for more storage space when dual recording comes to Sky+. To date, Mr Sullivan said that research had shown that Sky+ is used mostly as a time shifting device and not so much as an archive of old programmes, but Sky were there to satisfy all its customers needs, he added. The "killer feature" of dual recording, is currently being worked on. So said Nick James, Head of the Sky+ Development Team. Mr James said that the dual recording implementation was actually straight forward, what was more time consuming was the correct implementation of user menus and prompts so that no-one is confused, and users know what they are doing when they need to watch live Sky+ TV or cancel a recording. This important major upgrade is scheduled for early 2003. However Brian Sullivan, Sky's Director of New Product Development and Sales, said that if the upgrade was ready then it would be great to get it rolled out for Christmas. Sky+ will constantly record the channel you are tuned to - so if viewers come in half way through Eastenders, they will be able to rewind and watch from the start without missing the first bit. What's more, those watching live sport will be able to take over from the broadcaster, selecting their own instant replays of the live action to watch again, such as dubious referee decisions or fantastic goals. This facility will be available late Summer. BSkyB today announced that they would not be changing the retail price of Sky+ (at £299) and they would not be changing the monthly subscription of £10 per month for Sky+. One crumb of comfort for potential and current Sky+ users alike according to Brian Sullivan, Sky's Director of New Product Development and Sales, was that the lifetime subscription option was "a software option already enabled at Sky's Livingstone call centre, but the market could not currently take any more confusion about PVR/PTRs and the one pricing model worked for Sky & avoids delivering a complex message on choice to consumers." Mr Sullivan mentioned a possible total cost of ownership at £600. Whether this was an example or a prediction, is unclear, but that would make a lifetime subscription if it was introduced cost £300. BSkyB today announced their annual results. At June 30, there were 28,000 subscribers to Sky+. The long awaited Sky+ software update had been rolled out. 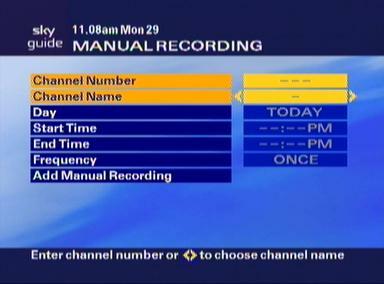 * Sky have introduced a manual timer including Repeat function, to be used when Series Links are not present. * The new feature of being able to add differing amounts of padding cannot be different for each recording, but is a global setting. Major Software Update  "Anticipated Soon"
Anticipation is growing within the Sky+ community that the first Sky+ software update of 2002 is now imminent. Many Sky+ users are pinning their hopes on an update within the next 7 days. With the BskyB annual report on Wednesday and a Sky+ PR event in the 2nd week of August, all the pointers indicate an update is due soon. * A manual timer including Repeat function, to be used when Series Links are not present. * The ability to add differing amounts of padding to each recording should now mean an end to missing the climax of shows that consistently over-run such as, Coronation Street. There has been no official announcement from Sky on the exact date of a Sky+ software update. Stay tuned to Plusworld.co.uk for all the latest news on this major software update. The extent to which Channel 4 and E4 have decided to use Series Links is now becoming apparent. Strangely, some popular shows which Ch4 have been asked specifically to introduce Series Link for have not yet been added. For example, the daily quiz show Countdown, on at 4.15pm Mon-Fri, which would seem a prime candidate for a Series Link hasnt got one. Plusworld will attempt to find out why most major shows are Series Linked but some are not. Digital Spy forum - C4 & E4 - Series Links have arrived!!!!! Today saw an exciting day in the short life of plusworld.co.uk. We've teamed up with Digital Spy, the webs leading digital forums, so as to give our users the best possible arena for discussing all things Sky+. Chief Editor of plusworld.co.uk, Callum Macfarlane said, "This is a major development for plusworld, we wanted to ensure that the Sky+ Users Community had the best possible outlet for it's users concerns, questions and general community chat, and weve achieved that with Digital Spy." After talks with the staff at Digital Spy, Sky+ was given its own sub-forum inside the PVR main forum. A link to plusworld.co.uk - a sky+ users community has been included in the description to this forum in case you could ever forget! Simply click on the link below to start contributing to the webs best digital forums. Enjoy. Web site Digital Spy today revealed the provisional plans for future upgrades of Sky+. The article mentions dates when events are likely to happen, and the features that are likely to appear. Many of the new facilities are features that users have been asking for, for some time. Radio Recording, Manual Timer and True Dual Recording are the highlights of this latest news. I have checked this 10 minutes ago, and there are indeed series links available. Plusworld.co.uk found this was a surprising addition, as only last week when we contacted C4 on behalf of our users, they told us that they had no plans to incorporate Series Links at present. (see letters area). Users of the satellite personal television recorder system Sky+ have had little opportunity over the past 12 months since the product's launch to comment about the level of service they receive. Until now the only available outlet has been through various forums and newsgroups which dont act on users views constructively, if at all. Plusworld.co.uk is about to change all that with a new web site that has brought together expert and novice users to get the best out the Sky+ system. Whilst Sky+ is a "cutting edge" product, it's had it's fair share of teething problems. One of Plusworld.co.uks aims is to highlight these issues and to give users a definitive reference as to what to expect with their system. Many have complained that if theyd known they were experiencing a known problem they would not have wasted time trying to source a resolution. Plusworld.co.uk is campaigning for a better service. Using Sky+ is far superior than any VCR available, the system just needs refining and BSkyB need to start listening to their customers." added Mr MacFarlane. 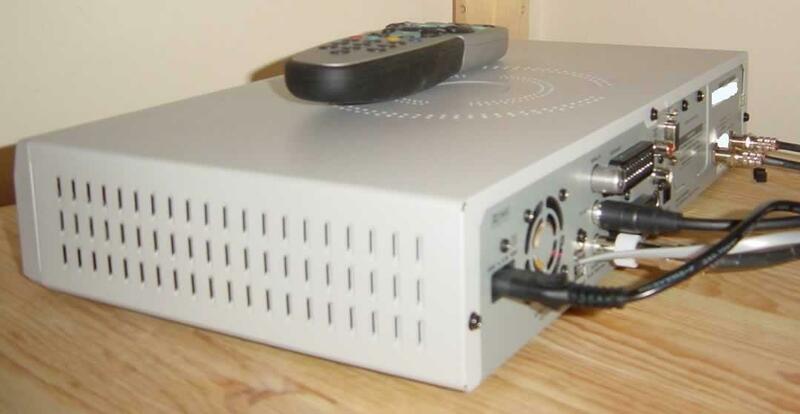 Sky+ is an evolution of Skys Digibox, their set-top-box for receiving broadcasting via satellite and is only currently manufactured by Pace unlike the Digibox. It utilises an on board hard disk and two tuners to record streams without loss of quality on playback. Since the launch of Sky+ last year, they have shipped and installed over 25,000 units. Sky charge a monthly subscription of £10 on top of customers package price to be able to access the extra features that Sky+ gives. Sky+ currently costs £300 to purchase the hardware, which the customer owns outright, plus installation. Ability to record one satellite channel whilst watching another. Ability to watch a recording whilst recording another programme. Ability to live pause the channel you are watching. Pace / Sky deal has implications for Sky+ users? announced that they had concluded discussions with Sky yesterday over supply agreements for Sky+. Sky made further commitments to purchase hardware, and also made significant revisions to the contractual terms under which Pace supplies the Sky+ system, this contract runs until the end of 2004.
cable for which it also supplies hardware. confirm what percentage they would receive of this amount but went on to say that from April 2003 trading terms would revert back to normal. Sky are yet to release an official press release on this matter. What do you think about this news? Does it mean that we'll never get rid of the £10 subscription? Will Sky+ set top boxes become cheaper?Click the following Digital Spy link to express your views in the relevant thread.